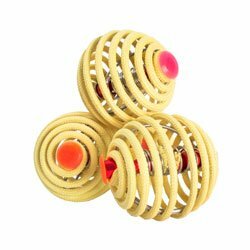 Juggling Balls UK – Cheap Juggling Balls – Buy Juggling Balls. Balls are the most commonly juggled objects, and, apart from scarves, they are the easiest object to juggle. Juggling balls come in a range of shapes and sizes but you can be sure to find quality throughout our range – we don’t stock super-cheap, poorly made balls that fall apart easily! 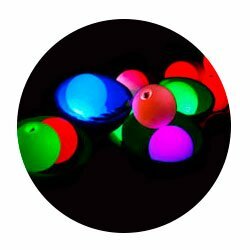 So have a browse, check out our colourful beanbags, professional stage balls, consistent bounce balls and our bright glow juggling balls or spectacular fire balls! 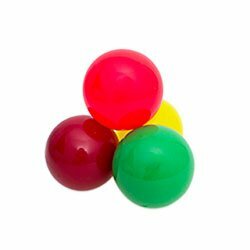 Beanbags are the easiest balls to learn to juggle with and come in the largest range of colours. 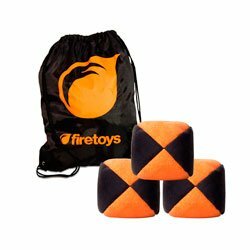 We also sell inexpensive pyramid beanbags that are great for circus skills workshops as they’re durable, colourful and machine washable! For the experienced juggler we have hybrid juggling balls that combine the best of a bean bag with the best bits of a stage ball. DX and MMX are the leading manufacturers in this area. DX also make Power Balls – heavy juggling balls to help build up muscle. 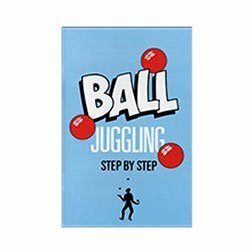 If you’re looking for a Christmas or birthday present then we have juggling ball gift sets which include three balls and a booklet teaching you the basics, all presented in a beautiful box. 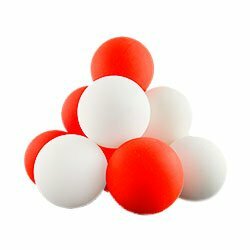 Stage balls tend to be bigger than standard juggling balls making them stand out on stage. 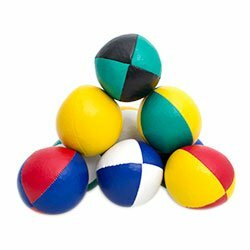 They are more spherical than beanbags which mean they can also be used as practice contact juggling balls or body rolling balls. You can also find bounce juggling balls, LED glow balls and fire juggling balls in this section.